Angie’s List was one of the first business review websites to launch in the US. It now has over 5 million members and specializes in home and yard services like plumbing, remodeling, and painting. More recently, it’s even added medical services like dentistry. To have a business profile on Angie’s List, you can either create it for free or, if your business has been around for a while and already has some reviews posted, you can claim your business’ profile for free. Note: Your visibility on Angie’s List will send more business and potential clients your way, so keep track of them with a CRM like Salesforce Essentials. It automatically pulls data from your email, calendar, spreadsheets, and other support channels to get a holistic view of every customer. This makes it easier to keep track of those who are interested in your services, so you don’t waste time following up with those who are not. Click here to start for free. In this article, we’ll show you how to use Angie’s List, how much advertising costs, and how to maximize your ROI. 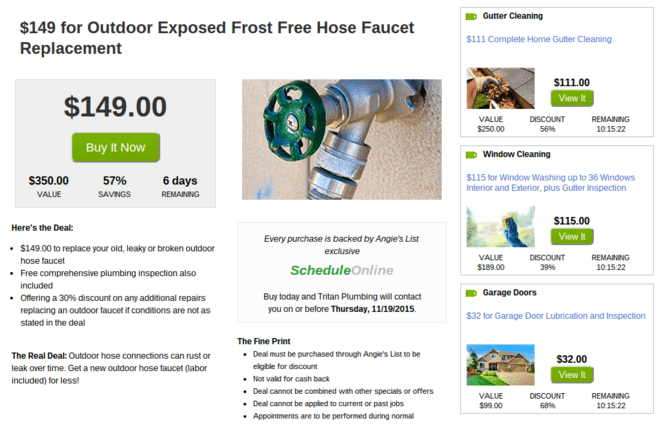 Visitors to Angie’s List can browse for free, or sign up for a paid package. The silver and gold paid packages provide additional benefits like a fair price guarantee, an award winning print magazine and a complaint resolution process. Once visitors have generated a profile including their address and zip code, they can search for the local home or medical service they are looking for. For instance, they could search for electricians, painters or a local family doctor. Angie’s List returns a list of the top rated service providers in their local zip code area. Where your business appears on their organic search returns list depends on the number of reviews you have and your average rating. The larger the number and the better the average rating, the higher your business will rank on the list. Businesses that do not pay for advertising do not provide this additional information in the search results, which makes them much less likely to be clicked and explored in greater detail. For instance, note the 4th business called ‘RNR’ in the above search list. Depending on your market & category, there can be as many as 14 sponsored results per search. 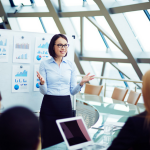 In this scenario, where your business ranks among the 14 will fluctuate. So even if you don’t have as many reviews as the other advertisers, you will appear at the top of the list some of the time. The cost of advertising on Angie’s List is negotiable. $200/month is a typical bill, although according to Marketing Consultant Victor Bilandzic, the cost can vary from $20/month to a few thousand dollars depending on the size of your “reach,” or the number of people who could potentially see your ad. According to Bilandzic and other sources, Angie’s List has a cost per click (CPC) of about $4 to $8. This means businesses tend to pay between $4 and $8 for each click to their website. So a bill of $200/month should get you between 25 and 50 customers in buying mode to your website each month if you optimize your profile, which we cover in the next section. This cost is a little bit higher than Google and Yelp. But word-of-mouth holds that Angie’s List buyers are more likely to make a purchase compared to users on Google and Yelp, who may just be casually looking. While there aren’t any specific numbers available on this, businesses who advertise on all sites tend to report much higher conversion rate from Angie’s List than the others. This makes sense because Angie’s List also has a good proportion of paying members. How is Your Audience Defined? Reach is determined by the local zip code area where you advertise. Angie’s List is divided geographically into many different zones. For instance, if the visitor is searching for a plumber in Scottsdale AZ, they will see a different list than somebody from Tampla, FL. Within large cities, there’s different zones for each neighborhood. As an advertiser, you can place your ad in a single zip code zone or multiple zones. The more places you show your ad, the larger your potential reach and the more you pay. When deciding where to advertise, I recommend running a contact report from your Sales CRM System to figure out where most of your customers naturally cluster and then focus on advertising in these zones first. This will allow you to optimize your advert copy, your website landing page and the zip code zones that you advertise in. Use a CRM such as Salesforce Essentials to store contact information from the leads you’ll be receiving. This makes it easier for you to follow up by integrating with mail apps, so you can email directly from its dashboard. Click here to start for free. Word-of-mouth suggests that price is negotiable when it comes to advertising. According to a former Angie’s List salesperson, the price can be negotiated down as much as 50% of the initial offer depending on your area and the category you want to advertise in. So whatever price you’re offered, you should seek to achieve at least a 20-30% off discount. Another good way to improve your ROI from Angie’s List is to get recent customers to leave you a review on Angie’s List. To understand the quantity and quality you need to achieve, I suggest taking a close look at competitors who are also advertising. If they have significantly more than you, it follows that more users will be clicking on their ad than yours. Boosting your number of reviews early on can be tricky. You may need to bring it up to customers in person “Hey we’re just starting out on Angie’s List – if you’re a member, please leave us a review!” Linking to your Angie’s List profile on your business website and social media profiles can also be helpful, as this can get past and current customers to take notice. For more ideas, Angie’s List has a page of resources for generating reviews, including web badges and physical review forms customers can fill out by hand. Your grade and number of ratings aren’t the only factors that influence your ranking. Your communication skills will also affect how high you appear in search results – for both paid and organic rankings. The gist is that Angie’s List values good customer service. So start with a strong focus on delivering for your customers. Respond in a timely way to their private messages as well as commenting on their reviews of your work. Obviously if you have a negative review, you want to try to make that right – or at least leave your side of the story posted on Angie’s List. You can do that for free. Don’t respond just to negative reviews, though. Respond to all reviews (just leaving a “thank you!” can go a long way). You should also respond to all private messages, even if they’re duplicates. It’s no longer necessary to have a discount coupon to advertise on Angie’s List, but I would recommend using one during the times of the year when your business is not fully deployed. This will definitely boost the click through to your profile, especially if you are advertising alongside good competitors who are already offering great coupon deals to tempt customers in. The award appears as a green dot next to your business name in search results, so it’s a good magnet for more potential customers. You can read more about the Super Service Award on Angie’s List. Angie’s List also publishes a print magazine for members. The publication includes news stories and coupons for local businesses in the back. This magazine only goes out to Angie’s List paying members and according to insiders it yields great results and you could target having it added into your deal when negotiating price. Similar to Groupon or Living Social, Angie’s List features different coupons and discounts on The Big Deal. These deals are available to both members and non-members, although members get bigger discounts. Businesses can pay to have their deal featured. Angie’s List has a phone line members can call to get recommendations for service providers. As an advertiser, the call center operator will recommend your business to callers – usually alongside a few others. This is a relatively new service that enables businesses to bid on leads in real-time. LeadFeed targets visitors who aren’t members yet. When searching for service provider, non-members receive a pop up message asking them to submit the details of their project. This information is then sent to all relevant businesses in the network, who can then bid on the prospect. 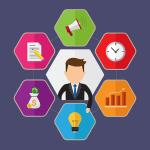 Businesses with expert knowledge can contribute articles related to their industry. These articles are shared on the Angie’s List Expert Blog. Once you get an expert article profiling your expertise, why not also share it with prospects on the landing page they arrive on when they click through from Angie’s List. If you are a local home services or medical services business looking for loyal, higher age profile customers (compared with Yelp), Angie’s List is a great place to find them. To get the best ROI from Angie’s List, you need to actively manage your profile and your advertising package. You also need to optimize your cost per customer, to make sure Angie’s List advertising is paying off. 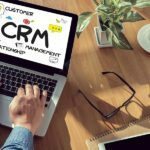 Make sure you use a CRM, like Salesforce Essentials, to store and organize contact information you’ll get from the leads so that you can easily follow up and convert more paying customers. Click here to start for free. Your exactly correct! My son called to get info and was aggressively prodded into joining at $565 per month, over $6000 for the year. That $200 is a bunch of crap! He tried to cancel in less than 24 hours later and was told it wasnt possible. He is 24 and first business owner. Drained his business account and discouraged him. My suggestion is NEVER CALL ANGIE’S LIST! Thank you for sharing your feedback. Disappointing! We hope others learn from your experience. I live in san jose calif .I have been ripped off from home Adv.please contact me so i can get rate .Do you have a military discount. Our website provides information about vendors like Angie’s list. To answer your specific questions about your pressure washing business and military discount, you’ll need to contact Angie’s list. Angie’s list is one option. Here are other options for advertising your business. Beware of advertising on Angie’s list. I am late to this post – but very helpful! Do you have any advice for home remodelers on HomeAdvisor? 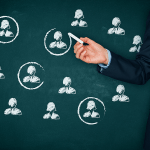 Either getting leads or managing their profiles. Thank you!